At Perrysburg Auto Mall, we offer some of the most trusted auto service and repair in the area. Our ASA certified technicians are trained to deal with Honda vehicles, meaning they can diagnose and repair any problems that arise. No matter how big the problem is, our professional service team has got you covered. We take care of all factory recalls and warranty service on all models-even if you bought your Honda from a different dealership. Our helpful Honda sales associates invite local Ohio drivers to explore our extensive selection of the very latest Honda cars, SUVs and pickups available. 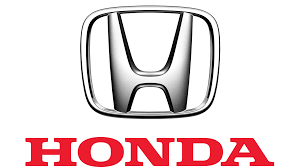 Shop our new Honda inventory online now, and then visit us for a detailed tour and test drive a new Honda Civic or Odyssey that has caught your attention. Perrysburg Auto Mall is also a used car dealer, as we pack our used car lot with an impressive array of pre-owned car options for Perrysburg-area car buyers to shop! When you are considering a new or used Honda as your next vehicle, do not forget to discover our collection of Honda certified pre-owned models in stock; each of these CPO vehicles come backed by an extended Honda factory warranty!